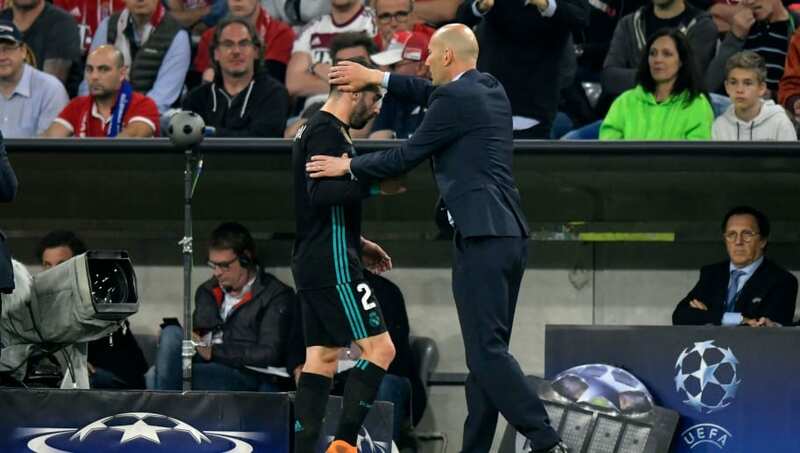 ​​Real Madrid defender Dani Carvajal believes that Zinedine Zidane was brave to come back and take the manager job even though he knows the size of the task at hand, with the team on course to finish the season without a trophy. Zidane had resigned as the manager of Madrid at the end of last season after guiding the club to their third successive Champions League trophy, saying he wouldn't be able to take them any further. That seems certainly have been the case as both Julen Lopetegui and Santiago Solari were unable to help the team perform at a high level. Carvajal understands the predicament the team is in and thinks Zidane was brave to come back. He told Marca: "It was the right one, at the time it was the best thing that could happen to us. We know we don't play the same, he knows our confidence is low and he's brave to take the job now. He knows us all very well, he knows the club and I think he's the most suitable." "Being without anything to challenge for since March is something I haven't experienced, but we have a good group," he added. "When you don't win the smiles aren't the same. We're united, we're aware that we must work to move forward. We look forward to finishing the season, winning the matches that are left and coming back strong next season." It remains to be seen if Madrid will be able to get back to challenging for trophies next season, but there is certainly going to be an overhaul in the summer.